The event will kick off with a lecture entitled “Narrative documents from the late Francoist period” delivered by Adolf Piquer Vidal, who holds a full professorship at the Universitat Jaume I in Castelló. This will be followed by “The mathematics of love; the chemistry of language: Pompeu Fabra’s call for codifying Catalan,” by the University of Girona’s Dr. Narcís Iglesias. Subsequently, Catalan language students will have the opportunity to share their ideas and experiences before wrapping up the day with a poetry reading. In collaboration with the Government of Valencia’s Ministry of Education, Research, Cultura and Sports, the Institut Ramon Llull strives to promote the Valencian language in academic contexts. Ultimately, these efforts aim to establish lectureships in universities outside the Catalan-speaking world. The Institut Ramon Llull and the University of Salamanca have signed a collaboration agreement to bolster the university’s Catalan studies program. Academic and research programming – including lectures, conferences, seminars and symposia – will promote and disseminate the Catalan language, literature and culture. 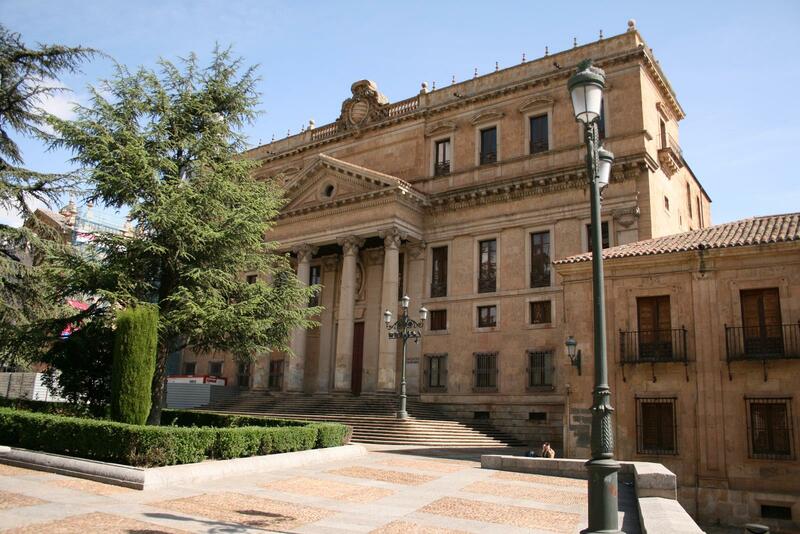 The University of Salamanca is a venerated institution offering high caliber academic studies. One of the oldest Spanish places of learning, it regularly appears in rankings of the world’s top universities. The Languages and Literatures Department is renowned for the range of languages on offer: Catalan was taught as early as the 1990s under founding professor José Antonio Pascual and his successor Adolf Piquer Vidal, as well as the current lecturer, Martin Escribà. The Institut Ramon Llull has also endeavored to raise awareness of one of Catalonia’s leading historical figures through Pompeu Fabra, A complete language. This traveling exhibition details Fabra’s contribution to the Catalan language and his acclaim across Catalonia. Conceived by the Directorate General for Language Policy and spearheaded by the regional cultural offices of the Consortium for Linguistic Normalization, the project takes the Fabra Year – an IRL initiative curated by Jordi Ginebra – to the international stage. The University of Salamanca will hold a conference featuring a series of lectures by Catalan scholars in the Languages and Literatures Department’s Aula Minor.